You only get one chance to make a first impression - so make it one that has a chance to build trust with your target audience. We help you create a medical brand that caresumers can relate to. How we do it? By aligning your brand promise with what is expected by your target audience. Building a caresumer brand today is very different from building a medical technology brand 30 years ago. It used to be that a few academics got together in a room, decided what the brand positioning was going to be, and then spent a lot of time developing technical collateral, white papers and specification sheets. If you were able to create enough scientific materials, then you could build your brand. It's a very different world today. With the Internet connecting everyone, medical technology organisations are becoming more transparent whether they like it or not. An unhappy caresumer or a disgruntled employee can blog about a bad experience with an organisation and the story can spread like wildfire. The good news is that the reverse is true as well. A great experience with an organisation can be read by millions of caresumers almost instantaneously. Truth is branding starts from the inside out. Do your employees believe in your product and the services that you offer? Are they standing 100% behind you in the mission of your brand? Are they living your brand? It is important that your employees are informed and involved in new initiatives and strategies that are taking place within your organisation. If your staff is unable or unwilling to support your branding efforts it can have detrimental results. If you thought the process of involving your staff was not important take into account that your employees meet, greet and assist your clients in many different ways. They are the face of your brand. Engage your staff right from the start and encourage individual input. Use your staff as a focus group - after all who knows your clientele better than they do? By doing this you will not only get support from your staff but you will be given insight and ideas that you otherwise may not have considered. • Is our brand up-to-date with the present, but more importantly, our future? 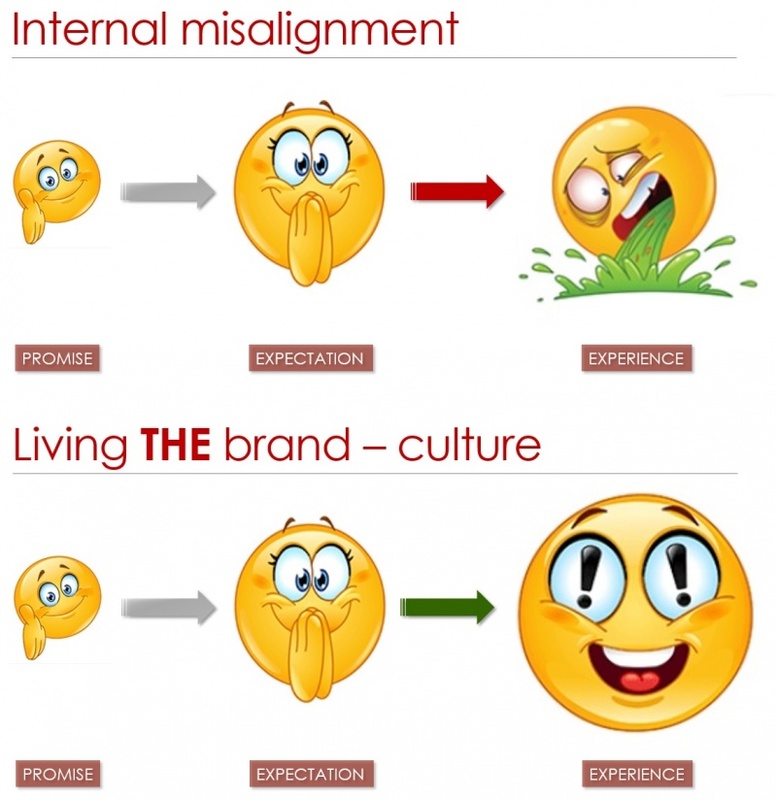 • How big is the gap between our brand’s image and the culture that surrounds it? • Are we saying what we want to be saying to our key audience? Do you feel it is time to deliver on what you promise? We are on standby helping you make your brand doing its job.